Kira is twelve and strong willed. The daughter of a retired dragon knight, she yearns for adventure and dreams of following in her father’s footsteps astride her own magnificent mount. But this can never happen. According to the laws of the kingdom, all girls must be married by the age of thirteen. Kira hates it, but being a girl, she has no choice. When war comes to the kingdom, Lord Dorcon and his knights arrive at her home to take her father, mother and brother, Dane, to the palace to serve the king. Kira and her sisters are to go to Lasser Commons – the most notorious prison in the land. Their only crime? Being unmarried girls. 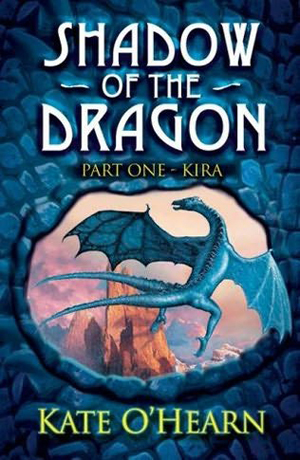 In a whirl of destruction and fire, Kira and her younger sister, Elspeth, manage to escape. But deep in her heart, Kira knows the real fight is just beginning. She and Elspeth are on the run and being hunted down by Lord Dorcon. When they are caught, they are to be executed. To stand a chance ever seeing her family again and to protect the life of her younger sister, Kira will need every bit of will power she can find.